One of the differences between these two organisms that stands out right away is their size. A typical eukaryote is about 10 to 100 micrometers, whereas a prokaryote is only about 1 to 3 micrometers. Another important distinction is that eukaryotes have organelles, such as mitochondria or a nucleus whereas prokaryotes do not. Since eukaryotic cells are considerably larger and have organelles to help it function, they are also much more complex than prokaryotic cells. However different they may seem, scientists believe that eukaryotic cells evolved from prokaryotic cells about 1.5 billion years ago. The word eukaryote stems from the Greek words eu (true) and karyon (nut or kernal). This translates to true nucleus. Eukaryotes can be single celled or mulitceullular (such as a dog). Humans are eukaryotes. Along with plants and animals. DNA is contained inside the nucleus. 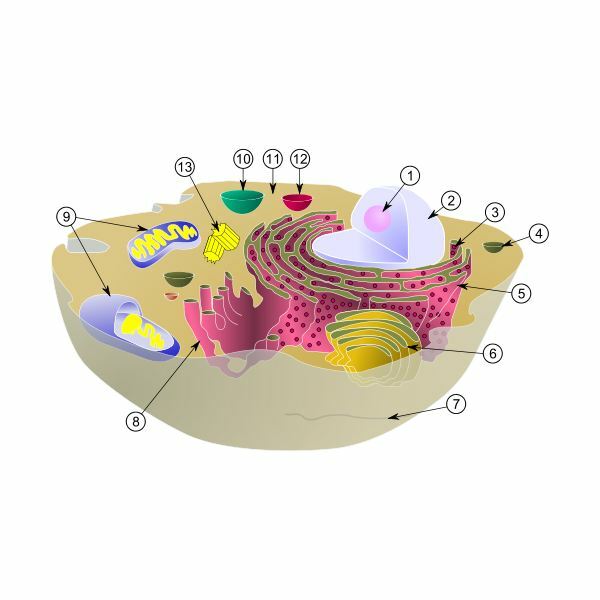 The three most important organelles in a eukaryotic cell are the nucleus, mitochondria and chloroplasts. They all contain double membranes to protect them. 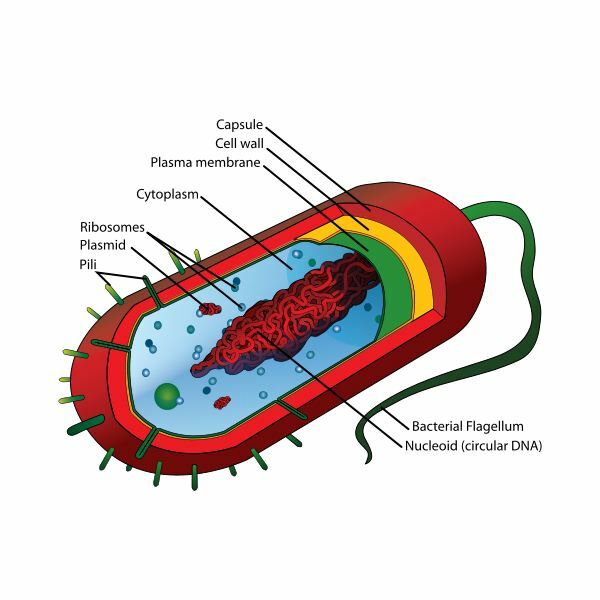 Eukaryotes often have flagella or tail like structures that are made of microtubules. Since eukaryotes are the organisms with organelles, they are also the only organisms with cytoplasm (the gel like fluid and all organelles except a nucleus). As part of the endosymbiotic theory, it is thought that the organelles inside eukaryotes such as mitochondria and chloroplasts evolved from prokaryotes that took up residence inside eukaryotic cytoplasm. The word prokaryote comes from the Greek words pro meaning before and Karyon meaning Kernel or nut, which is interpreted to be the nucleus. So the word Prokaryote literally means before nucleus, since they are cells that lack nucleuses. Cytosol a grainy appearance because ribosomes are found freely found throughout the cytosol. Prokaryotic cells have cell walls like plants do. They are used for protection, since prokaryotes are usually single celled organisms. Since DNA is not found in the Nucleus, it is instead concentrated in one area called the nuclear region. Some examples of prokaryotes are bacteria, or archaea. Most prokaryotes have a high metabolic rate and a high growth rate because of their hair surface area to volume ratio. Prokaryotes reproduce asexually or by themselves. They can do this by binary fission (much like simple mitosis) or by budding (like a new branch budding off a young plant). Whether cell Biology is one of your favorite subjects or not, there are many interesting things to be learned about the makeup of a cell. These things start to make sense and become more interesting when you get the chance to see these little organisms in action. If you get the chance in a science class or lab, try looking at pond water or other cells under a microscope. Seeing prokaryotic cells takes a little bit more work, however premade slides can give you a good visual of these organisms. This will give you the opportunity to actually see some of the differences and similarities between these two organisms.